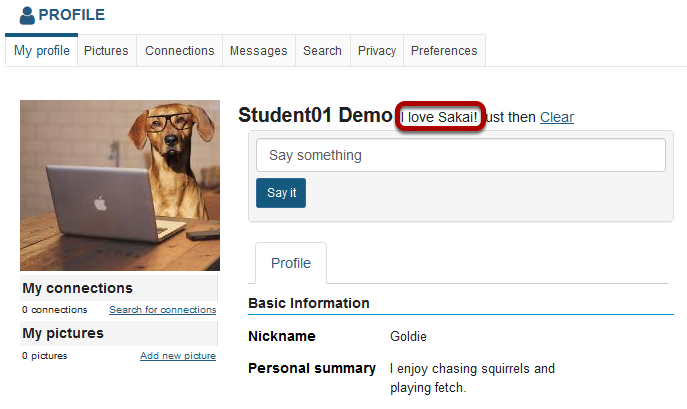 Sakai Community DocumentationSakai 19 User Guide (English) ProfileHow do I post a status message to my profile? The message will appear at the top next to your name. 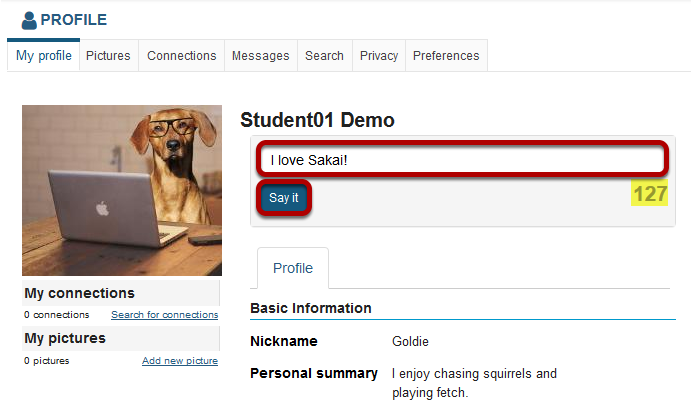 Prev: How do I set up my profile? Next: How do I add pictures to my profile picture gallery?